Bode Analyzer Suite 3.20 released! BAS 3.20 further improves your Bode 100 user experience! You can switch between a light and a dark theme and you can add more traces if you want. Furthermore you can automatically calculate stability margins and use the Nichols diagram for your control system analysis. Finally, we did it. We did send a Bode 100 to Dave at EEVblog. To find out what Dave says about the Bode 100, check out the review video! For our newest adventure, we took our Bode 100 and the OTMC 100 Grandmaster Clock to the Greek island Rhodes. Let's meet and measure! We will be happy to serve you at our booth. 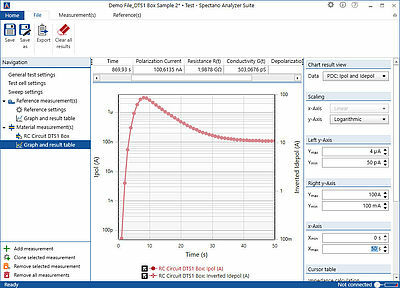 With the release of the Bode Analyzer Suite 3 many new functions have been added. For sure all these functions are described in the manual. But let's be honest - who reads manuals? Our newest Extreme Measuring adventure - Check out the video! Passive Probe for Bode 100 available! We are pleased to inform you that we have launched a new accessory for the Bode 100. 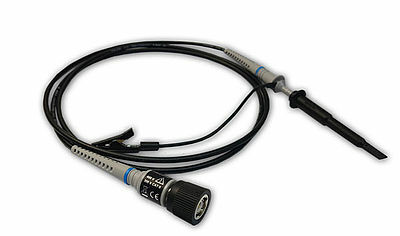 The new PML 111O is a passive 10:1 probe manufactured by PMK, optimized for the use with Bode 100. BAS 3.12 brings new features and improvements. You can use averaging to reduce noise in your measurements. In addition BAS 3.12 features a Smith-Chart for fixed-frequency measurements. Download now! We made two new application notes for the SPECTANO 100 available. In this application note, we are reviewing the theory behind the input filter stability problem. Why the input filter of a DC/DC converter can cause converter instability and how the negatige input impedance of the converter contributes to this. In this guide Dr. Tomasz Zawada from TOOsonix explains the most important parameters of piezoceramic components and how to measure them using the Bode 100. We have further improved BAS 3 and added new features. In this application note, we show how the Bode 100 can be used to measure the high-frequency impedance of equipment designed to be powered by mains voltage. It comes with many new features and enables the Bode 100 to measure up to 50 MHz. This application note shows how to extend the impedance measurement range of the Bode 100 with a high impedance bridge. The 6th Power Analysis & Design Symposium took place on April 26th, 2017 in Eching (near Munich), Germany. 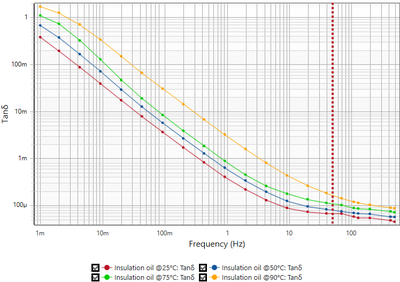 Learn more about the SPECTANO 100 and why it is so important to analyze insulation materials over a wide frequency range. An Exclusive 1-day Simulation and Design Workshop with Steve Sandler took place on November 3rd, 2016 in Munich, Germany. We have updated our Application Note about RFI Power Inlet Filter Measurement with Bode 100 and made some new ones available. This paper shows, how to retrofit an already operational energy distribution network using the Precision Time Protocol (PTP) in accordance to IEEE 1588. Based on the current implementation situation and the findings from the IEC 61850 interoperability plugfest 2015, this paper explores the differences and commonalities of the two PTP profiles for power applications and their interoperability. New Dielectric Material Analyzer SPECTANO 100 available! Get our newest product to measure the dielectric properties, quality and conditions of solid or liquid insulating materials in the frequency (FDS) and time domain (PDC). This bachelor thesis - written by Martin Bitschnau, Student of the University for Applied Science Vorarlberg - focuses on the contactless resonance frequency and q-factor measurement of inductively coupled RFID transponders. Also in 2016 you could find OMICRON Lab as exhibitor at the PCIM Europe in Nuremberg, which took place on May 10th to 12th. The 5th Power Analysis & Design Symposium took place on the 21st April, 2016 in Eching (Germany). For the second time we organized an Open-Lab event on the evening prior the symposium. During this event, participants could use our measurement equipment live and bring their own designs to be tested. Do you need better protection for your Bode 100 during travelling or storage? Find out more about our new carrying case. In this report Professor Tamás Kovácsházy explains how the OTMC 100i is used in various PTP related research projects at the University of Budapest. Due to the great success in 2013 + 2014, we decided to extend our webinars in 2015 and held our first Webinar Week. We have updated the Non-Invasive Stability Measurement application note and have performed the measurements on the new VRTS 2 board from Picotest. Check out the application note that compares the traditional loop gain measurement method to the NISM measurement based on output impedance. Once again you could find OMICRON Lab as exhibitor at the PCIM Europe in Nuremberg from May 19th to 21st, 2015. Our booth was full of interesting live measurements, where we did demonstrate the Bode 100 and it's applications. The 4th Symposium took place on May 6th, 2015 in Eching near Munich (Germany). In 2015 we did organize the first time an Open-Lab event where participants could use our measurement equipment live and even bring their own designs to be tested. By adding the PTP compliant switch RSP20 from Hirschmann to our product portfolio, we are now offering a complete end-to-end IEEE 1588 solution for industrial applications. In 2013 we held our first webinar series ever, which was a huge success. Therefore we decided to continue with our webinar series in 2014. Bode Analyzer Suite 2.43 is ready for download! We have included the contactless Q-factor measurement in our RFID application note! See how to measure resonance frequency and Q-factor of a 13.56 MHz RFID Tag using the Bode 100! New Bode Analyzer Suite V2.42 ready for download! 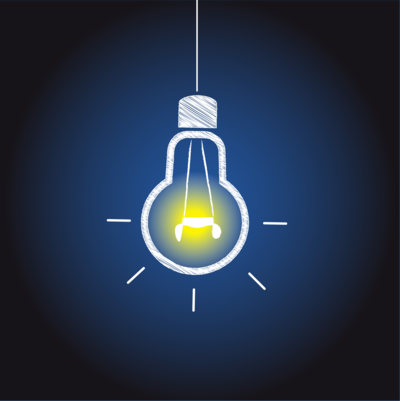 The new Bode Analyzer Suite 2.42 offers you great new features for your daily work! See how the Bode 100 is used to measure the self-resonance frequency of a 13.56 MHz RFID tag! Check out our new video tutorial. Find out how EFsyn can help you during the design process of EMC filters. EFsyn uses a new approach for the filter transfer function calculation. Check out our new video tutorial on EFsyn. In this video we explain the difference between a VNA (Vector Network Analyzer) and a FRA (Frequency Response Analyzer). On a high pass filter we show the different setups and the results from the measurements. Watch it! New Bode Analyzer Suite V2.41 is now available! The new BAS V2.41 offers many new features which make your work with the Bode 100 even more efficient! Measuring Power Factor Correctors is usually not a trivial task. By watching our new video tutorial you will learn how easily the PFC stability can be determined by measuring the phase margin and gain margin using the Bode 100 and the B-WIT 100. You need to design an output filter of a power supply? You use ceramic capacitors? Then you should have a look at the following video showing how sensitive ceramic capacitors can react to DC voltage. Instable power supplies? The ESR of your output capacitor might be the reason. In our new application video we show how the ESR of a capacitor is measured over frequency using OMICRON Lab's vector network analyzer Bode 100 and the impedance adapter B-WIC/B-SMC. Watch our new video tutorial! New article about peak current mode control available! In his application note Dr. Ali Shirsavar investigates the implementation of peak current mode control with slope compensation on a single chip Piccolo A from Texas Instruments. If you are interested, check out our webpage. You do not exactly know at which frequency your measurement looks most interesting? No problem, use the zoom and copy from zoom functions of the Bode Analyzer Suite! In addition we show how to set the cursor to the maximum and minimum value of a curve. Watch our new video tutorial! Measure the AC impedance of a PV module! Two new articles on our webpage! What do Eddy Currents and Skin Effects have in common? Well, both can easily be measured using the Bode 100. Have a look at our new articles on Eddy Current Testing and how to measure Skin Effects. Assess the stability of voltage regulators using the Bode 100 and the B-WIT 100. We demonstrate how to measure the phase margin of an LM317 voltage regulator. Watch our new video tutorial! The impedance values of current sensing resistors are generally in the range of several milliohms. Measuring such low impedance values at high frequencies is a challenging task. In our new application note we did measure a 20 milliohm SMD resistor and a 20 milliohm 4-wire current sense resistor. Battery impedance includes information about the internal state of a battery. 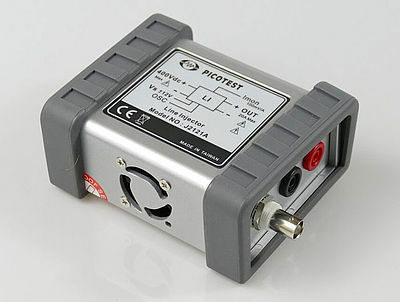 The Bode 100 in conjunction with the Picotest J2111A Current Injector offers a test set for measuring the impedance spectrum of a battery in the range from 1 Hz to 10 MHz. Check out our new application note! Crosstalk can cause serious problems in power supply systems with multiple regulators. The Bode 100 and the Picotest J2111A Current Injector form the perfect test set to measure crosstalk in the full frequency range from 1 Hz to 40 MHz. Have a look at our new AppNote on Crosstalk measurements. 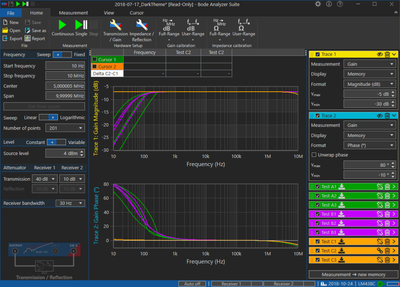 In our new AppNote we used the Bode 100 to perform impedance matching of a 27MHz antenna coil. Furthermore we did analyze a transmission link between two matched antenna coils. If you are interested have a look at our new Application Note. The DC operation point can have a strong influence on the impedance of a device. Using the Bode 100 in conjunction with the J2130A Picotest Injector you can measure impedance with a DC offset up to 50 volts. Check out our new Application Note. In combination with the new Picotest Signal Injectors the Bode 100 is a powerful tool to analyze power supplies. 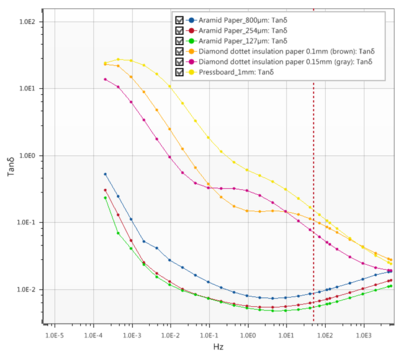 In two new application notes we demonstrate how important power supply parameters can be measured easily. Due to the renewal of the web shop for our customers from the US we can now provide a straight forward and easy handling shopping system. The new American Web Shop now also includes all OMICRON Lab articels and detailed product information. The European Web Shop was created in order to provide you with a fast, simple and comfortable way to choose and order the OMICRON Lab product you require for your measuring tasks. OMICRON Lab's new Bode Analyzer Suite V 2.21 released - Get automated! Based on the input of our constantly growing customer base we have developed a full set of new features and functionalities, which further extends the range of application of our versatile Bode 100 Vector Network Analyzer. 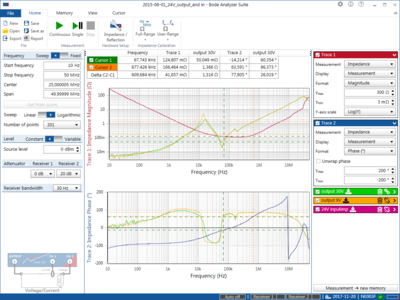 The new Bode Analyzer Suite V 2.01a provides many additional functions which significantly enhance and extend the area of application of the Bode 100 Vector Network Analyzer. The new and improved user interface allows a quicker and even more intuitive operation of Bode 100 than ever before. Audio Amplifier Test, Measuring Quartz Crystal Circuit and Measuring Quartz Crystal Circuit II. A compact, multifunctional test set with a Vector Network Analyzer, Gain Phase Meter, Impedance Meter, and Sine Wave Generator in a single unit. A compact, multifunctional test set designed for the electronic laboratory. Click year or month for filtering displayed news. Click here to reset your selection.